The original 1993 Steven Spielberg film, Jurassic Park, is a classic that has scared audiences for two decades. 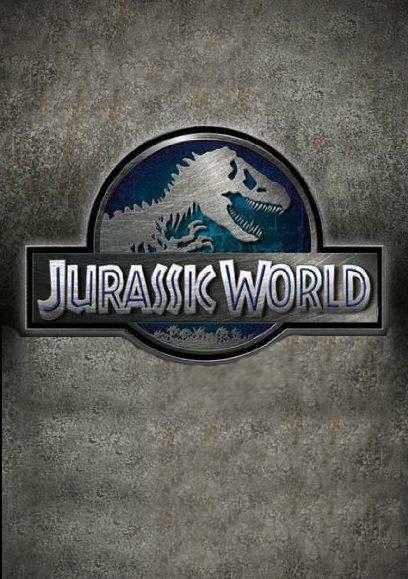 No sequel could ever top that film, but holy moly, the fourth film in the franchise comes closer to replicating that mix of awe, wonder, and fright that neither The Lost World nor Jurassic Park III could accomplish before. Twenty-two years have passed and John Hammond’s idea of having a dinosaur amusement park has become a fully realized attraction. Isla Nublar is thriving with hordes of tourists hoping to get their hands on a dinosaur. The park is full of a variety of dinosaur species, attractions, and even a petting zoo. 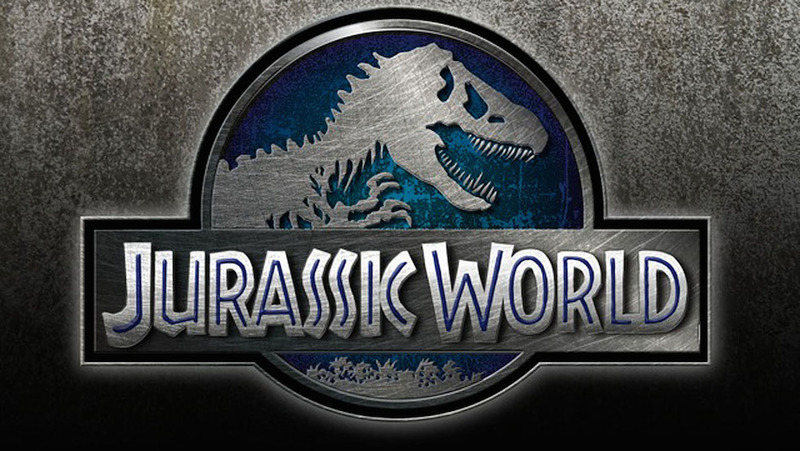 Brothers Gray (Simpkins) and Zach (Robinson) go to Jurassic World as part of their Christmas break to visit their Aunt Claire (Howard) who is the operations manager of the park. Claire has become a workaholic due to the pressures she faces from her superiors who are always looking at finding new ways of drawing a bigger crowd and bringing more people into the park. According to them, the people want bigger, louder, and scarier dinosaurs. Claire and her team, including chief geneticist Dr. Wu (Wong), have enhanced their work with gene splicing and have created a hybrid dinosaur that is one part T-Rex and one part mystery. Its classified information as to where those genes have come from. A busy day at the park turns to hell when the hybrid gets loose. Claire turns to velociraptor trainer Owen Grady (Pratt) to help stop the monster from destroying the park and eating too many visitors. There is a natural tendency to go into Jurassic World with some hesitation, as most people will think of it as a reboot that will naturally pale in comparison to the first film. At the same time, we go in with huge expectations because we want it to be great. We want a welcome return to that scary dino park that scared the living daylights out of us when we were kids. I may be dating myself with that comment. How often do we see franchises attempt a big comeback but end up like a cheap copycat that has somehow negated everything that came before it? Good thing that doesn’t happen here. Steven Spielberg returns as one of the film’s producers, but has passed along the directing duties to Colin Trevorrow (Safety Not Guaranteed). Like I mentioned previously, Trevorrow and his team of screenwriters have returned to Isla Nublar to see what has happened on that island since that tragic day. This idea of going back there allows an opportunity to reference the first film and adhere to what was originally brought to the table, but continue to push it forward. I don’t personally consider it a reboot, as it’s not trying to retell that same story. It’s a brand new story, while still feeling cohesive to that original vision. It doesn’t have that awkward feeling as if Trevorrow is trying too hard to be the next Spielberg or that he’s trying to outperform him. There were many moments and specific choices that felt very reminiscent of the first film. Jake Johnson (“New Girl”) plays a computer tech that feels like a cross between the Samuel L. Jackson and Wayne Knight characters from the first film right down to the messy desk. Instead of being locked into jeeps, Gray and Zach are locked into mobile gyrospheres that provide for one of the best action sequences of the movie and reminds us of that scene in the first film when the T-Rex attacks the kids who are stuck in the jeep. Composer Michael Giacchino (Up, Tomorrowland) creates a new score while adding in those classic John Williams themes from before. He and Trevorrow knew they had to incorporate them into this film. There’s a beautiful moment where we hear one of Williams’ themes and the new amusement park is unveiled for the first time for the audience. It’s a wondrous feast that opens your eyes wide and puts a big grin on your face. There are other gems along the way that will also win you over, but I’m not going to spoil them here. Little time is spent diving into exposition as it assumes we’ve all watched Jurassic Park hundreds of times. We get introduced to our characters’ roles in the park, and that’s about it. This doesn’t give a lot for the actors to work with in terms of shaping them outside of standard archetypes. Considering the fact that the second film didn’t have a plot, I was not as bothered here by the lack of character depth. Chris Pratt’s character is the tough macho guy who is tasked with saving the day. We’re used to Pratt’s comedic side on “Parks and Recreation”, and he even injected that humor and charm into Guardians of the Galaxy. You won’t find any of that here as he plays it straight-faced the entire movie. Howard is the hard-working business type who is married to her cell phone, which doesn’t bode well for someone who is supposed to be taking care of her nephews. She has an assistant that can take care of that. In a movie like this, you can assume that there will be some sexual tension between the two of them. At times the dialogue between them constitutes some serious eye rolls. The lack of a strong plot and deep characters will divide moviegoers depending on what they want out of the movie. Let’s face it; most people want to see the action. We want to see the humans realize that they are outnumbered and outsmarted by the dinosaurs, which all happens with the escape of the hybrid. Spielberg taught us that you can’t rush into it and show all of your cards at the beginning. We are treated to some other dinosaurs early on with some tense moments, but Trevorrow builds suspense when it comes to unveiling the hybrid. When that moment comes when we see the beast and hear that giant roar, it is absolutely thrilling. If you can see it in a theater with a trusty sound system, the theater will shake your insides. The rest of the film is a terrifying ride and your heart may skip a beat here or there. Trevorrow puts his audience right in the middle of the chase. The camera dutifully keeps up with the pace of the action without it feeling too rushed or chaotic. I do miss the use of animatronics and models when it comes to the dinosaur effects, but I was massively impressed with the way the CGI was used. There’s a scene with flying pterodactyls that makes the monkeys in The Wizard of Oz seem tame. I would caution parents to think twice about taking little kids to the movie. Jurassic World is far scarier than its predecessor. It’s far different watching it in a huge movie theater with surround sound versus watching it on a television at home. Jurassic World is by far the best of the sequels. It feels modern yet in tune with the past. Yes, I would have liked to have seen a cameo by Laura Dern or Jeff Goldblum but I understand the choice of wanting it keep it in the present. BD Wong is the only returning actor from the first film. Pratt and Howard are also joined by Vincent D’Onofrio (“Law & Order”) playing another scuzzbucket role, and Judy Greer who is her usual delightful self even with her limited screen time as the boys’ mom. I walked out of the theater wanting to go back in and watch it all over again, and I’ve had that new simple piano version of the Jurassic Park theme stuck in my head since then. Is It Worth Your Trip to the Movies? A true summer blockbuster that should be taken in on the biggest screen with Dolby ATMOS sound.